How would your organization benefit from effortlessly sharing limitless amounts of data with business partners and commercializing that data to share with other organizations? With most data sharing methods today, the best you can do is imagine these benefits because it’s cumbersome, time consuming and costly to share even small slices of data. If you share data using an FTP approach, you will spend time deconstructing, scripting, securing and governing the data, and your data consumers will spend time reconstructing, scripting and rebuilding the data. Sharing data via email can be very slow and insecure. Email is not even a practical option for large data sizes and is exponentially more difficult if sharing a large database. Sharing data using a basic cloud storage service is equally inefficient, including the lack of ability for you or for your data consumers to query the data directly. 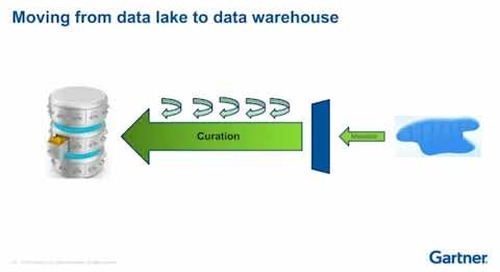 And if you want to enable “direct” data queries, without loading, you will likely evaluate a traditional cloud data warehouse or Hadoop platform that is “integrated” with a data lake storage platform. Do you think this will be simple? Not so fast! You’ll have to factor in the need to manage a separate data catalogue and external tables to share data, or you’ll have to contend with data inconsistency and performance issues. These limitations all add up to mean that traditional options to share data are more difficult to take data sharing to the next level of capabilities, which goes beyond finding insights to commercializing your data. 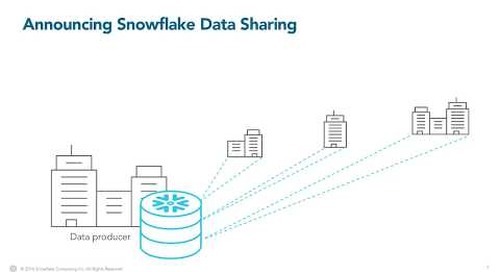 If any of this feels familiar, consider these three reasons why Snowflake Data Sharing – the technology making it possible to create a Data Sharehouse – is so compelling. 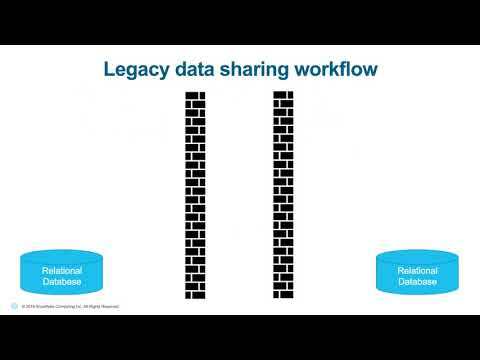 Traditional options to share data create unnecessary data processing and platform complexity. Complexity adds burdens and requires a lot of extra time and resources, including infrastructure costs, for you and for your data consumers. 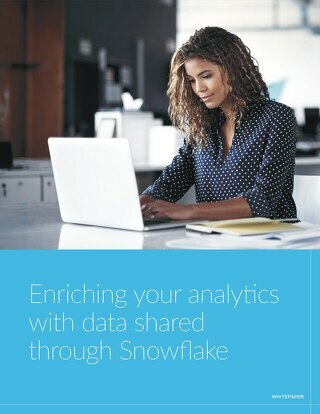 Snowflake Data Sharing, on the other hand, is an all-in-one, data warehouse-as-service solution that makes sharing data simple and easy. 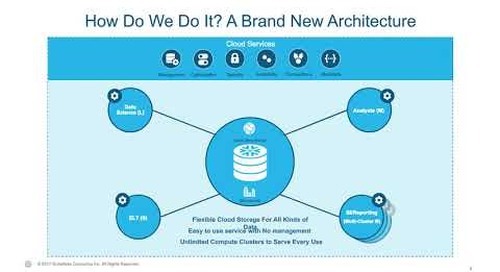 The vision for the Snowflake architecture, from day one, featured separation of compute, storage, and services to allow unlimited scaling, concurrency and data sharing. Point your pipeline to land your data into Snowflake and set up your warehouse. To share any portions of your data warehouse, use Snowflake’s included SQL client to CREATE a new database shell that could contain the entire database or any portions of it. CREATE a reference list for the objects you wish to share. 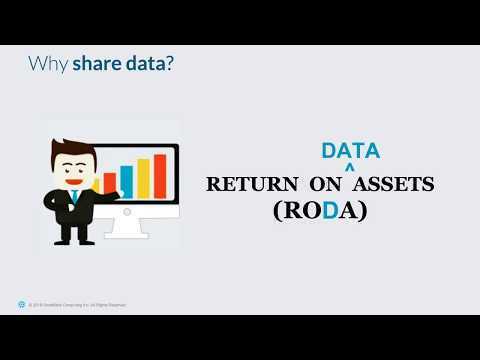 Issue GRANT statements that will enable access to the shared-database and any objects referenced within “the share”. These are all the steps you will need to quickly and easily share data. All of the related metadata activity, including cataloguing, happens automatically within the Snowflake data warehouse service. No additional infrastructure or separate cataloguing effort required. Most options to share data require you to unload the data from your data warehouse in order to transmit or email to your data consumers. Or if using a cloud data warehouse platform to avoid this, it relies on a physically separate storage pool in order to scale and share data. The downside with either option is that the data set is read-only and disconnected from any updates that occur within the data warehouse. If you modify the data set, or if the data set is regularly updated, you must reload (ETL) it into the data warehouse, operate on it, and then unload it again to retransmit or place it in the shared storage pool. 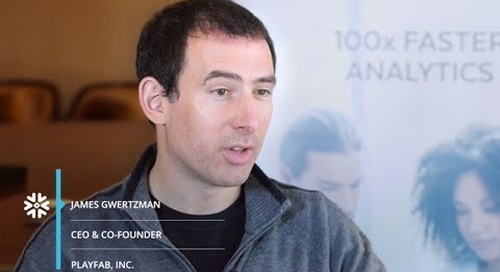 For data consumers that received or were connected to the old data set, this means there is a period of time during which they’ll be exposed to stale and inconsistent data. Fresh data won’t be available until a new transmission is made or until a new connection is made to the fresh data. 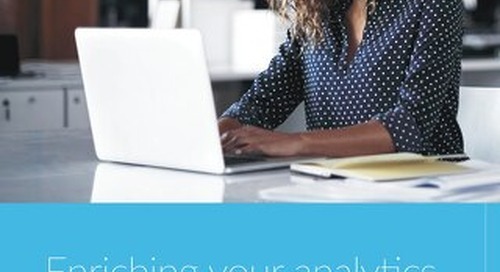 No one wants to run analytics on stale data. 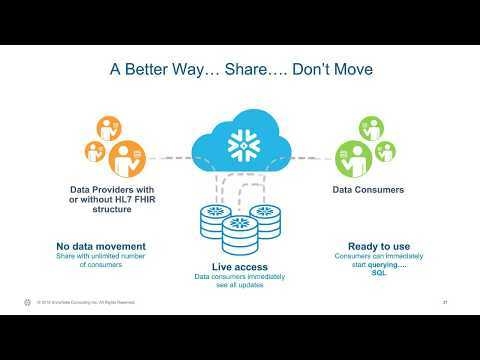 Snowflake Data sharing delivers a better choice. Because data sets shared with data consumers within the Snowflake environment are live, in real time, and from the data warehouse, data consumers will immediately see fresh data as soon as an update or transaction is committed and successfully executed. Data consistency is maintained, without any extra effort from you. Your data consumers will not have struggle with decisions to run analytics now or wait for a new update. At the end of the day, it’s all about growing and expanding your business and services while providing excellent experiences for the customers and consumers of your data. 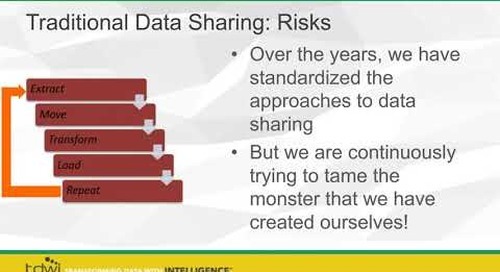 If you anticipate sharing data with tens, hundreds, or thousands of data consumers, each of which with unique data sharing requirements, how can you easily support this? And support the growth without manually building more clusters, managing external tables or metadata stores, suffering through performance penalties or creating data inconsistencies? It would be very difficult or impossible with other architecture approaches to accomplish these objectives. 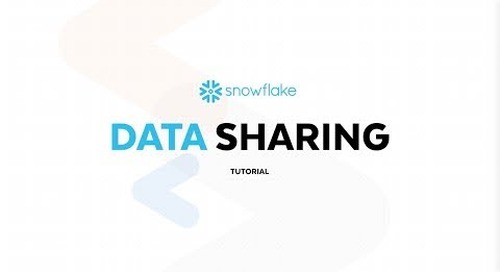 Snowflake data sharing allows you to scale and easily add data consumers and specify granular secure views, all at the highest performance profile and with data consistency. On the other end, with Snowflake, your data consumers can immediately use and query the shared data, also at the highest performance profile. 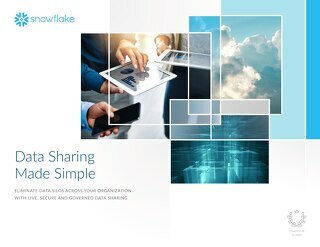 These are just a few compelling examples of how data Snowflake Data Sharing, and the Data Sharehouse approach, can transform the creation of high-value business assets from data. 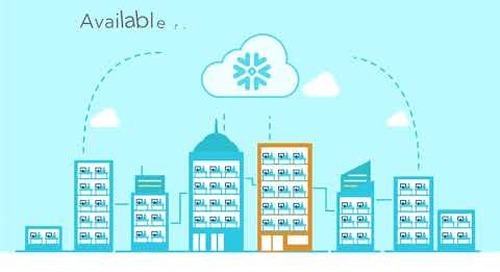 It’s a new, exciting, powerful and easy-to-use feature of all Snowflake data warehouse deployments. Also check out data sharing blogs from Snowflake customers Snagajob and Playfab. To learn more, you can easily signup for Snowflake here. 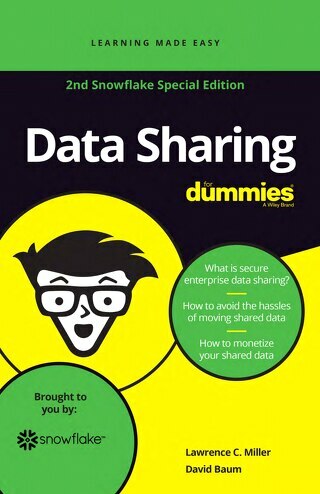 Or jump to our webpage to review our data sharing ebook, white paper, demo, and other resources. In future posts, we’ll cover more details about the technical capabilities and business-value advantages of Snowflake Data Sharing – built for the cloud. Be sure to follow us on Twitter (@snowflakedb and @miclnixon1) for all the news and happenings here at Snowflake. Stay tuned! 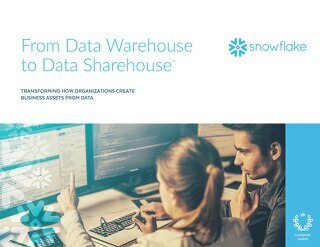 The post 3 Ways a Data Sharehouse™ Can Catapult Your Data-Driven Initiatives appeared first on Snowflake.